This epitaph was written by a friend and comrade of Şahin / Waka / Farid. Originally published by Kurdistan Solidarity Network. 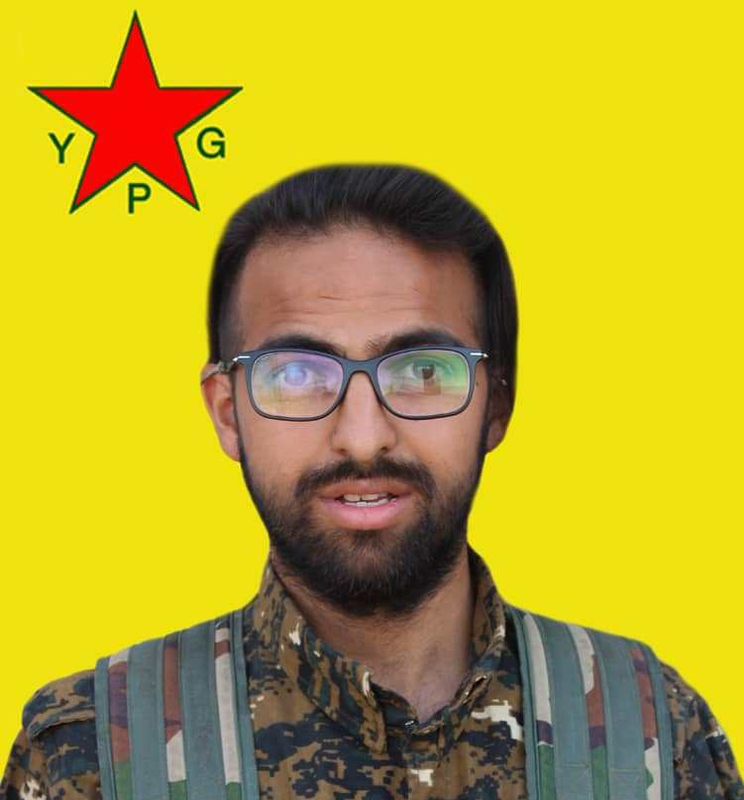 Şehîd Şahîn Qereçox, known as Waka to his many friends, was sadly martyred in the fight against Daesh in Hajin on 6th October. He had been serving in the YPG, fighting for the revolution in Rojava for 4 months. For as long as I’d known him he was a loving comrade and a true revolutionary. I’m still struggling to find the words to describe him – he was so thoughtful and creative he defied simple generalisation. Whatever I write will merely scratch the surface of what he meant to me and so many people. I will never forget his brave actions and efforts fighting for a world he knew was possible. One free from oppression, patriarchy and ecocide where people live cooperatively in the spirit of mutual aid instead of being made atomised and afraid by capitalism. He was always willing to risk repression or police violence defending what he believed in. In Hambacher Forest, Germany, he never hesitated putting himself in harm’s way to stop the exploitation and destruction of the earth. In Pont Valley, England, his creativity and hard work put fire in a campaign to defend communities and wildlife from opencast coal mining. Şahîn’s resourcefulness made him a valuable member of every community he was in. He was often hard at work building structures, cooking and just making the whole space more welcoming for everyone to enjoy themselves. He always brought his charming wit to every conversation and you could learn a lot from what he had to say. His temperament was never aggressive, nor was he keen on physical confrontation and initially it was a surprise to hear he wanted to fight with the YPG. But actually, thinking about his many other brave exploits, it shouldn’t at all have been a surprise that he would fight for what he believed in this way. His unwavering courage and self-discipline without falling into macho behaviours is one of the many things for which I admired him. This was one of the things that made him a true revolutionary – he knew a revolution isn’t just something you make or build, it’s something you do and it’s a part of who you are. Everything he did was very consciously and unapologetically political. He never shied away from criticising his own behaviour or that of his comrades. He wanted to make the most of every day of his life and any spare moment was spent learning a language, training, reading and sharing new ideas. A week or so before he died he was made co-commander of the YPG International Tabur and he was steadfastedly motivated in training not only everyone’s physical condition, but also building the revolutionary culture in the unit. One treasured memory I have of him before he came to Rojava was when we were hitchhiking together in Europe. I remember no matter who gave us a lift he would immediately engage with them in conversation as if they were an old friend. He was always keen to talk about his ideas and never felt the need to be dishonest about his beliefs. His disarming friendliness and honesty left everyone we encountered on that journey fond of him, even if they had met him all too briefly. I would like to send this message in memory of a true heval. A land defender, hunt saboteur, anarchist, expert hitchhiker & dumpster diver, revolutionary, friend, and a beautiful comrade. I only regret I didn’t tell him all this to his face, but the fight for freedom goes on and I will do so in his memory, inspired by everything he did and everything he taught me.